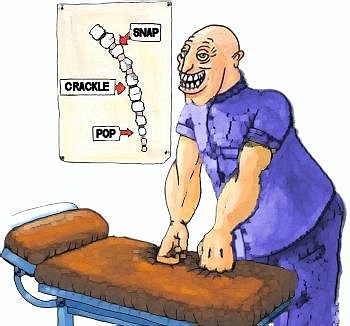 Chairopractor or Osteopath in KKC ??? Yeah, I know. FAT CHANCE!!! Sorry for the witless question, but thought I would ask anyway . . . just in case. Anyone turn up a Chairopractor or an Osteopath (or similar) here in KKC?